No computer repair shop provides faster, more dependable computer repair services. Our traditional offerings include everything from laptop screen repairs, memory upgrades to virus removal. A team of experts will quickly and efficiently identify and fix any apparent problem on your system. 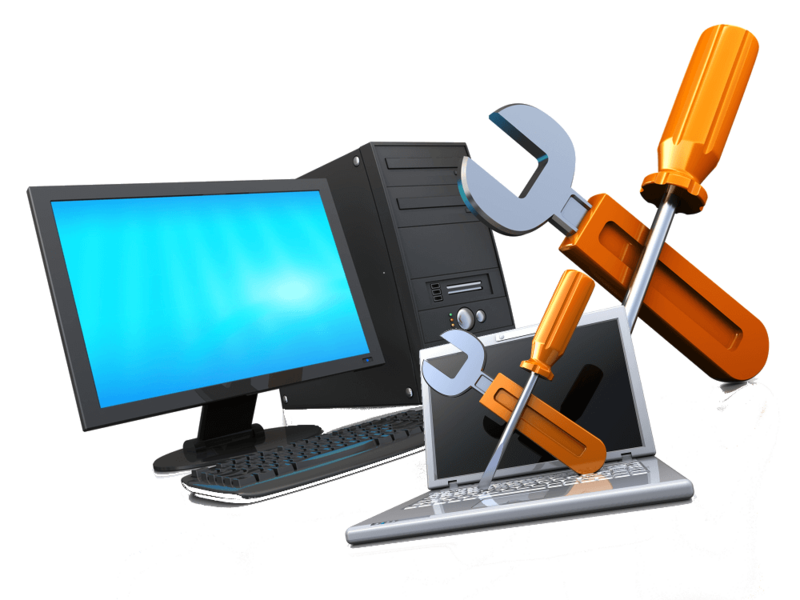 We can use software to remotely repair your computer hassle free, or our technicians can diagnose the problem, recommend a solution and perform the repairs on site. We work around your schedule, providing same day or next day service. Have you been noticing strange pop-ups or programs on your computer? You may have had malicious software injected into your computer from something as seemingly harmless as an E-mail or website. Tensor IT offers complete virus removal for any device that can catch one. We will also provide you with the tools and information to help prevent or avoid viruses altogether. We have in stock or can order parts for your desktop, notebook or server. Peripherals, hard drives, RAM, motherboards, CPU’s, video cards, and power supplies to list a few. We will even custom design and build your next computer. We only stock the best quality parts – if we wouldn’t use them ourselves, we won’t sell them. We know data loss emergencies happen day or night, every day of the week. Fortunately we have a variety methods of getting your data back to you. We can perform data recovery on hard disk drives, solid-state drives, smartphones, tablets, USB flash drives, camera cards and enterprise-level devices like RAIDs. We’re here 24/7 to take your call and get your recovery started. Our knowledgeable network engineers can handle scalable networking solutions, data center design, and efficient relocation services. We also specialize in cable management and cleanup of communication closets and data racks. All of the cabling that we perform is backed by qualification testing. Results are printed and provided to you (the customer). We can develop and execute cloud-first strategies so you can access your data from all of your devices, and minimize the risk of losing important documents. In addition, we keep all of your information encrypted and implement the best practices to keep your data secure. Tensor It provides advanced security systems help protect your data and keep your business up and running. Our security package includes managed firewall, intrusion detection, virtual private network configuration, vulnerability scanning and anti-viral services. * If your problem isn’t listed here just ask! Our certified engineers can provide you with solutions to virtually any computer or networking problem.